Most beings would be pulverized in a matter of seconds by the Hulk. Not these two. While they fall on opposite sides of the struggle between good and evil, their battle is one that can only be decided among gamma-enhanced goliaths. Your superhero adventures will be off the hook with these awesome Marvel’s Abominations figures! We have the GREEN and BLUE versions available. They’re just as tough as the Hulk but one is good and one is definitely not. Send them into gamma-charged battle against each other! 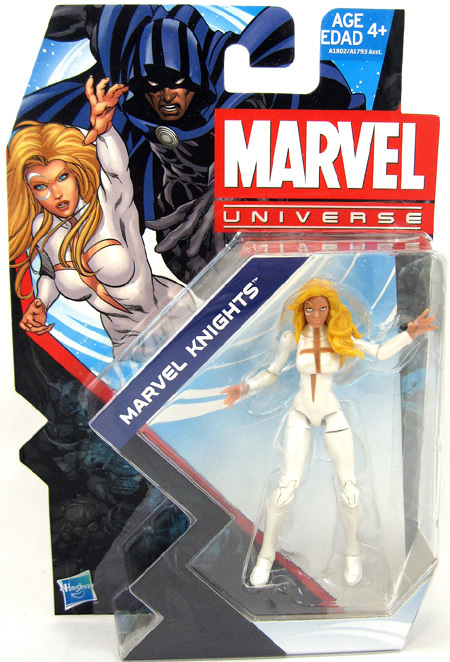 Got another new wave of Marvel Universe figures which includes Dagger and A-Bomb.